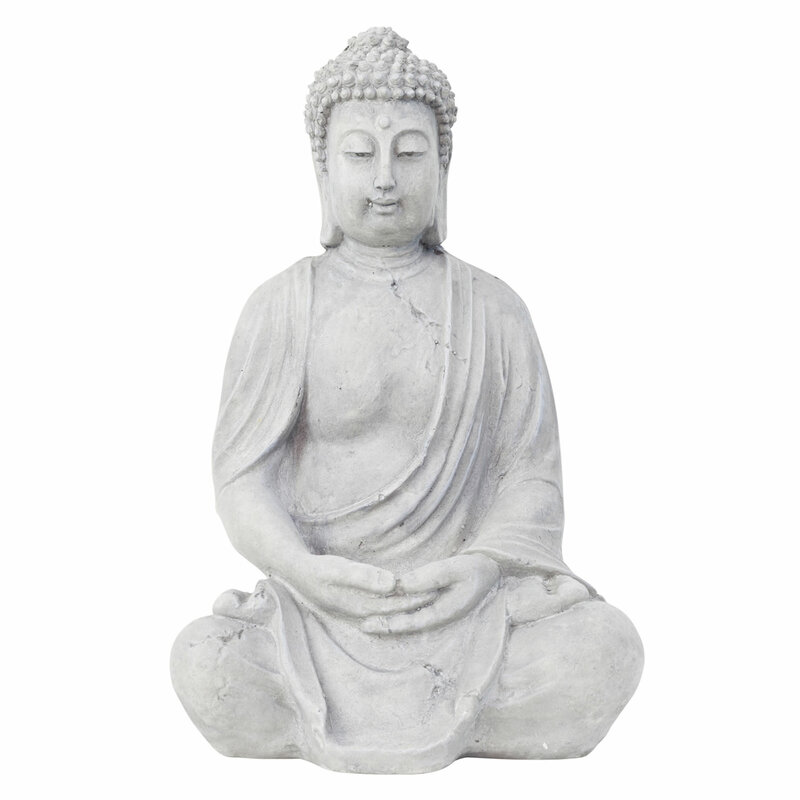 A large garden ornament in the form of Buddha, made from aged effect stone look grey fibreclay with intricate detailing. This ornament will make a perfect feature in a tranquil outdoor space, particularly among plants and bushes. H40 x W25 x D20cm in size, weather resistant but we recommend not exposing to harsh wintry conditions. Please note: manufacturing process may leave minor irregularities but this simply adds to the worn stone effect.